It’s no fun getting a broken tooth and needing a replacement. You may have concerns about how your smile will look with an artificial tooth, whether it’ll hurt or how much it’ll cost. 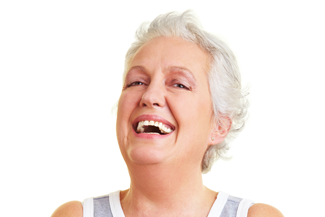 Alternatively, if you’ve had dentures for some time and they’re starting to cause you discomfort, it may be time for you to consider something different. This is where dental implants come in. You may wonder how an implant is different from dentures. An implant is like a metal screw that’s fitted into your jawbone, used to attach an artificial tooth. Unlike a fixed bridge, they don’t impact on your other teeth and offer more stability. The material they’re made from will bond with your jawbone, proven to encourage growth. When you need dental implants in Cheltenham, we’re a clinic you can turn to for quality treatment and care. At Chetenham Dental Spa, you can be assured about getting quality dental implants by one of our highly-experienced dentists. Our team, led by Dr Ghaleb Karein, can provide you with everything you need to know about getting implants and take you through the whole treatment with ease. With dental implants in Cheltenham, you’ll get more stability in your mouth and you can eat, speak and laugh as you do with your natural teeth. The artificial teeth are strong and natural-looking, meaning you can feel confident in your smile looking great. Providing you with your dental implants in Cheltenham, we give patients anaesthetic so that they don’t feel anything during the process. Once the implant is fixed, it takes a while to heal before a tooth can be fitted, and many patients feel minimum pain during this time. Between the initial consultation and getting the permanent restorations, you can expect dental implants in Cheltenham to take 2-6 months, because of the time for the implants to integrate with the jawbone. However, we can offer implants with temporary restorations in the same day with Same Day Teeth. If you have any questions about implants, you can always speak to one of our approachable and professional team members. This entry was posted in Dental Implants on 18th March, 2019 by Cheltenham Dental Spa & Implant Clinic.